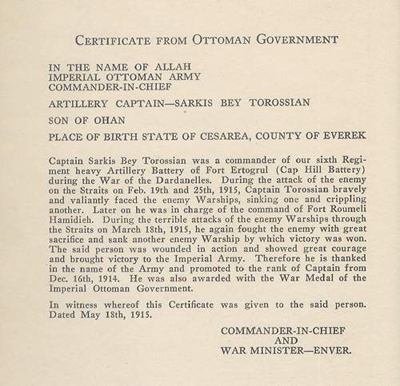 Captain Sarkis Torossian was born in 1891 in the Armenian populated city of Everek, which is situated in the south central part of the Turkish Empire. He graduated from the local Armenian Parochial School and from his early years was imbued with the desire to become a soldier, a career strictly forbidden to Christian subjects by Ottoman Turkish laws before the constitution of 1908. 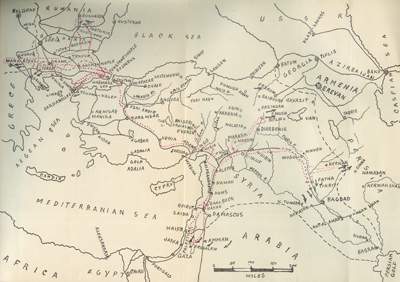 Sarkis Torossian was accepted the State College in Adrianople, where he became friends with a young Arab fellow named Muharrem, son of the Brigadier General of Constantinople. Torossian was accepted through this friendship into MuharremвЂ™s home as a close friend of the family and MuharremвЂ™s father, powerful Pasha, secured an appointment for both boys to the Military College. During many weekend visits to the PashaвЂ™s palace, SarkisвЂ™ romance with MuharremвЂ™s sister Jemileh was kindled. Graduated in 1914 with the rank of Second Lieutenant of Artillery, Torossian was sent to Germany for three months and shortly before Turkey entered the war, he was appointed commander of Fort Ertogrul (Cape Helles), which guarded the entrance to the Dardanelles. TorossianвЂ™s friend Muharrem was appointed as secretary to General Jevad Pasha, Commander of the fortifications of the Dardanelles. 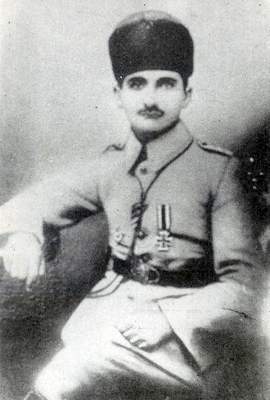 It appeared that Captain Sarkis Torossian was the first who destroyed a British warship during the Dardanelles/Chanakkale battle in early 1915. General Commander Jevad Pasha recommended Sarkiss Torossian to the Minister of War, extolling his loyalty, efficiency, and bravery, pointing out also that forts under Captain TorossianвЂ™s command had been the only ones successful in sinking enemy ships. 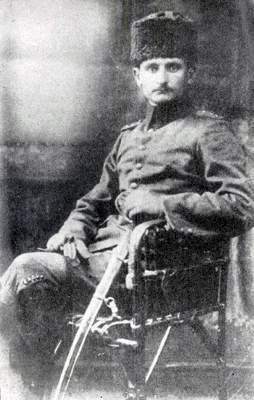 During his audience with War minister Enver pasha the latter introduced Sarkiss Torossian to high ranking German military officers Marshall Liman von Sanders and General von der Goltz as "Armenian hero of the Dardanelles". 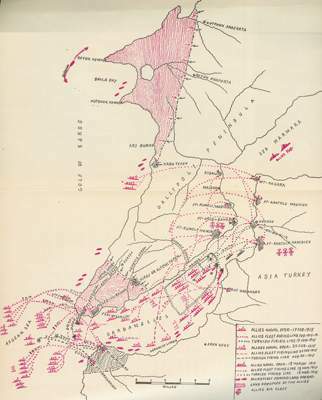 Sarkiss Torossian was asked by Enver and German advicers about the strategies around Chanakkale fighting and possibility of British success in capturing Constantinople. 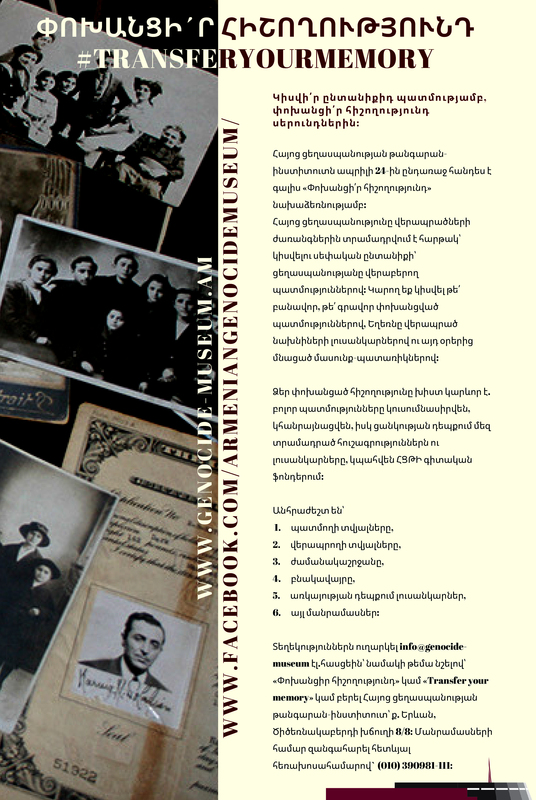 "During the Armenian massacre of 1896 my father was commander of an army brigade stationed near Mush. Even at that time he was deeply aggrieved over Turkish excesses in dealing with their Christian subjects. One day, while passing through an Armenian village, he picked up a little girl, hardly more than two years old, whom he found wandering aimlessly about the deserted streets. No trace of her parents was found, and out of pity, or love, or sorrow my father took her home with him. Eventually she was accepted into the family. My mother, however, objected to a cross tattooed on her upper left arm and applied an acid solution to destroy the Christian emblem; it left a queer shaped scar." 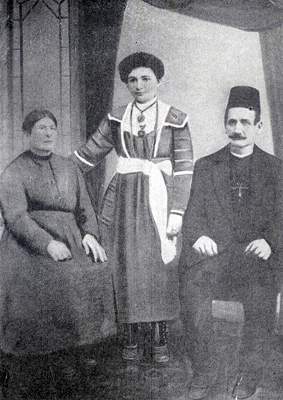 During the deportation and massacre of the Armenian population started in early June 1915 the parents and sister of Torossian contrary to existing laws were deported to Deir el Zor. Previously Zeki, the kaymakam (head of district) of Everek threatened parents of Captain Torossian to deport them unless they accepted Mohammedanism and give his young sister in marriage to his cousinвЂ™s son. Torossian tried to solicit for his family before the high ranking Turkish officials, but the latter attempted to assassinate him instead. 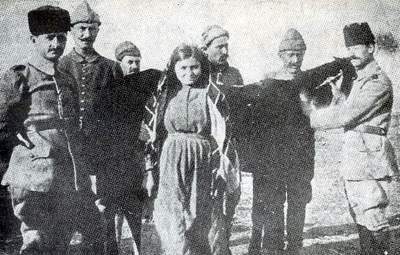 Later from Turkish officers he was informed that Talaat Pasha planned to poison him with the help of one of his mistresses, Fahriyeh Human, and throw his body secretly into the sea. 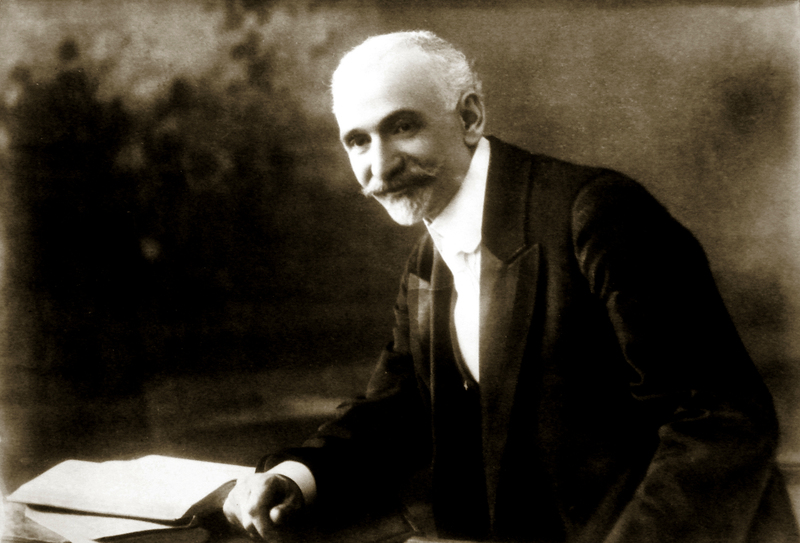 Later Sarkiss Torossian faced with a second attempt of assassination, this time in Palestine. 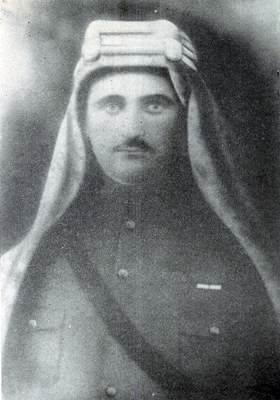 With lifelong fear and hatred of the Young Turks and their duplicity in massacring his parents, he seized the opportunity of deserting his Turkish command and joining the Arabs under Nuri Yousuf, under the Allied forces. For his bravery and excellent leadership in Palestine and later as Chief of Platoon, in Cavalry Headquarters, and in the Armenian Legion, under the French from Beirut to Cilicia, he was decorated by England and France. Apart from decorations from the Allies, Torossian was decorated with military awards of Ottoman Turkey and other Central Powers Germany, Austria, and Bulgaria. 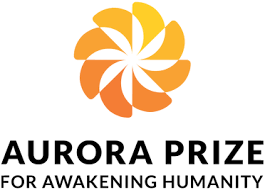 In the Arabian desert Torossian found his sister, who was the only survivor from his family. However soon both his sister Baizar and Jamileh died because of diseases. 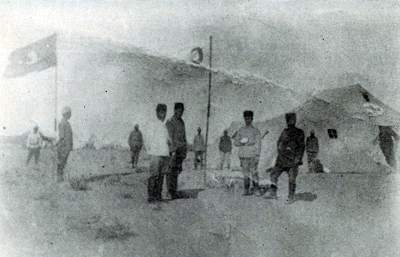 After the return of Armenians to Cilicia Torossian participated in organizing the self-defense of the local Armenians against Kemalists. 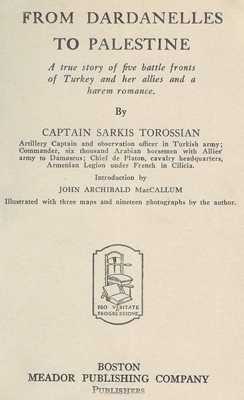 When ultimately the latter captured Cilicia Sarkis Torossian decided to move to US, Philadelphia where in 1927 he published a volume of memoires in Boston titled "From Dardanelles to Palestine" Acting on five battle fronts combined with a thorough knowledge of conditions gained from actual experience has provided Captain Torossian with ample material for an intense diary.